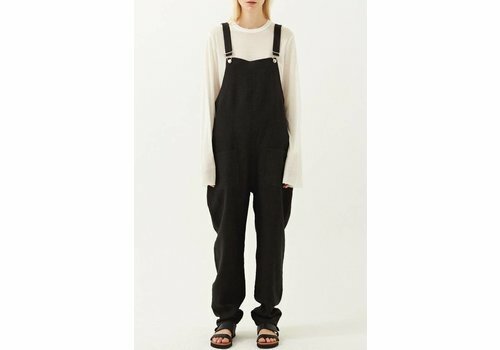 Relaxed fit black classic overalls in linen with long leg and pockets front and back. 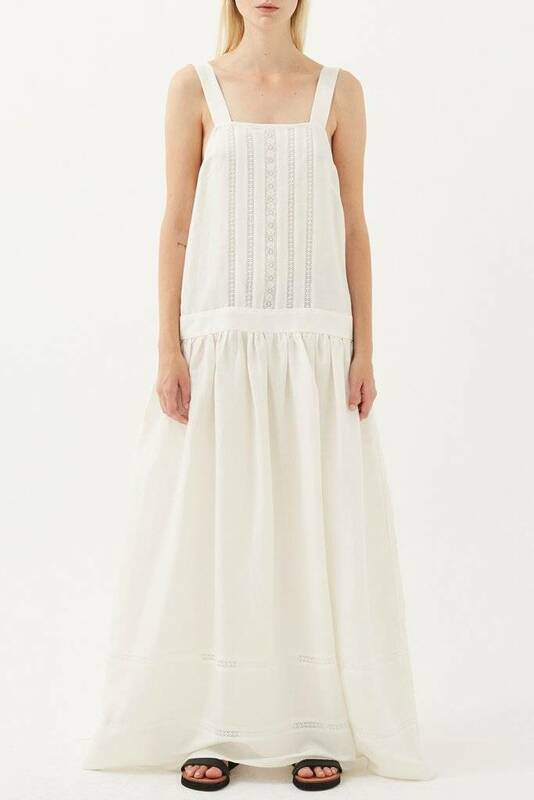 Square neck full length dress with lace detail featuring a wide strap and lace detail at centre front and hem of skirt, drop waist band and gathered skirt. Relaxed pull on fit, perfect for layering. 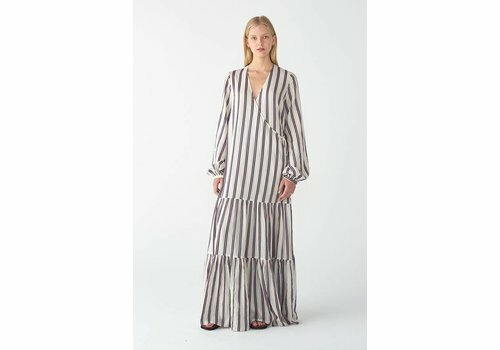 The tiered wrap dress from Matin is a truly versatile piece designed with full sleeve, slim cuff bind, wrap ties, and two full gathered tiers. 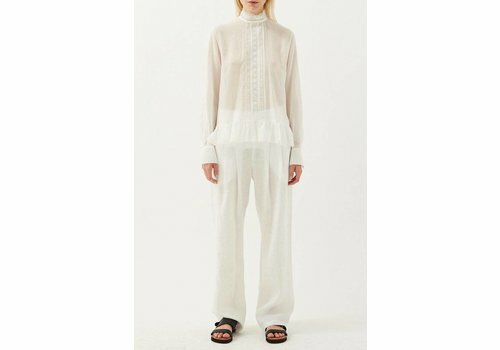 Fine soft cotton long sleeve top with lace trim detail, lace neck, lace panel front and lace down sleeve, ruffle hem and shell button fastening at neck. 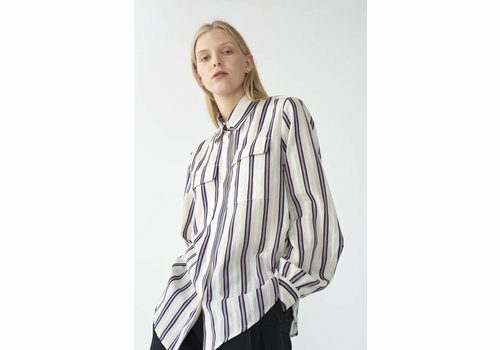 Multi-stripe shirt with exposed placket, shell buttons, classic collar and patch pockets constructed in a cotton tercel fabrication. Wear buttoned up and tucked in, or worn open over your swimsuit for the perfect beach shirt. 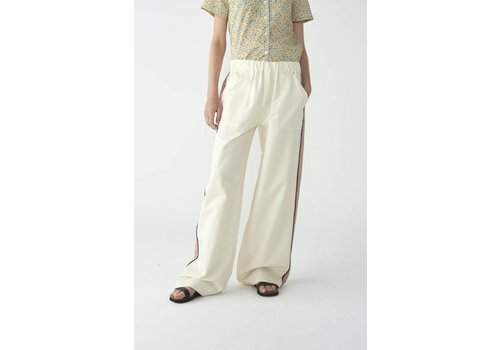 The resort wide leg pant in ivory with contrast panel. Designed with an relaxed elastic waistband and side entry pockets. The legs are a long cut to allow for the hem to be taken up. Modern in spirit, rebellious at heart, MATIN is the go-to for relaxed silhouettes and undone styling with a refined feminine edge. 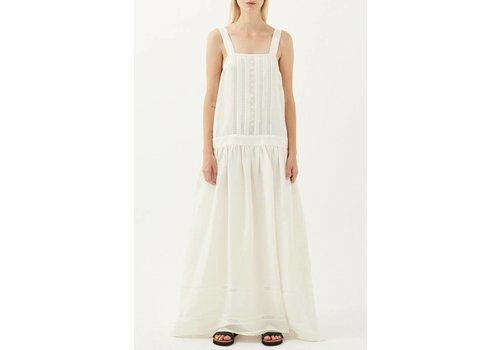 You need only look to the brand’s line up of sublime dresses, separates and trademark styles to understand the cult appeal. 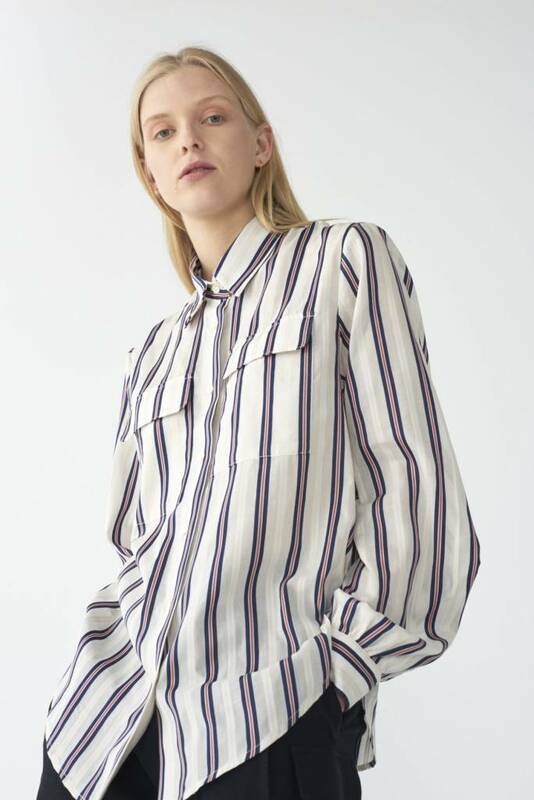 Expect natural textures, versatile cottons and languid silks constructed into an edit of easy-wearing pieces with day-to-night versatility. 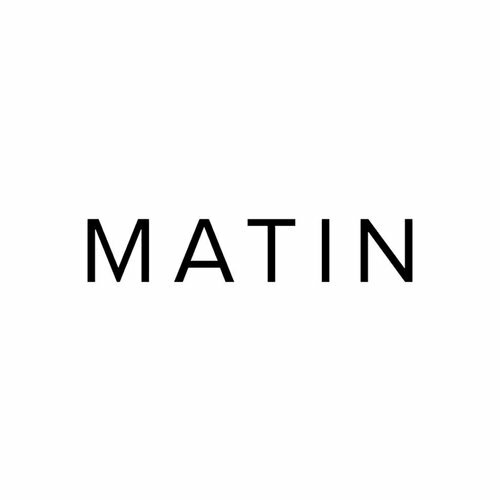 Playing to a laid-back urban attitude, MATIN is your shortcut to an eternally chic wardrobe. Designed and made in Sydney.